Here’s what I gather from the new law on private non-agricultural cooperatives in the Gaceta Oficial, which is actually two laws, a decree, and two ministerial resolutions, all of which were necessary because cooperatives were previously permitted only in the farm sector. Just as pilot projects have been the first step in other reforms, this is a sort of pilot project involving the creation of about 200 cooperatives “with experimental character,” as the law says. The law does not say how or when the experience of these 200 cooperatives will be evaluated, so we will have to stay tuned for that and for any refinements of the law and policy that result. The cooperatives will be self-governing businesses that are not connected to any state institution. In that sense they differ from state enterprises, all of which have a connection to ministries and their enterprise groups and, in spite of efforts to engender autonomy, have in large measure remained subordinated to government entities. The cooperatives will be on their own to sink or swim. By self-governing, I refer to the law’s provisions where each member will have a vote, and cooperatives will create governing structures that correspond to their size. In the section of the law that suggests governing structures, cooperatives of more than 60 members are contemplated. The cooperatives will be free to do business with government entities, state enterprises, and private entities. Except in markets where the state regulates prices, they will set their own. There will be two kinds of cooperatives, I’ll call them start-ups (those that result from individuals who join together and apply to form a cooperative) and conversions (where the government decides that it wants to divest itself of an enterprise). The law calls both of these “first-degree” cooperatives that form from the voluntary association of people. There will also be “second-degree” cooperatives that are formed by two or more cooperatives. I assume that this has to do mainly with agriculture, where farm cooperatives would join together and form a new cooperative that would handle transportation and sales of produce (see the Lineamientos, #29 and #180). The application process for creation of any kind of cooperative starts at the local level, and the decision is made at the national level by the Council of Ministers. If the pilot project is deemed successful, one wonders if this authority will be devolved to provincial or municipal authorities. Who can form a start-up cooperative? 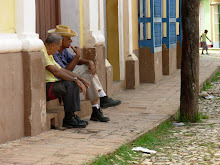 The law says that anyone age 18 or more who is a resident of Cuba and is capable of performing the proposed work can apply, and cooperatives must have at least three members. Applicants must describe the economic activity in which they want to engage. Unlike the law governing small entrepreneurship, the cooperatives law contains no exclusive list of permitted lines of work, and it does not bar university graduates from working in the activity for which they are trained. If the government has a policy to favor certain types of cooperatives, it will only become apparent as applications are approved and denied in the pilot project phase and later. The law itself contains no restriction. In the case of conversions, the current employees of a state enterprise will have preference if they decide they want to form a cooperative and rent the premises from the state. Leases will be up to ten years, renewable for an equal term. When a state enterprise is converted to a cooperative, the cooperative will pay no rent for one year if it repairs the premises. New cooperatives’ working capital will come from employees’ contributions, from bank loans, and from loans from a newly created Finance Ministry fund to support cooperatives. Employees’ contributions will be reimbursed from the cooperatives’ earnings. Cooperatives will pay taxes on their profits and will pay social security contributions for their members. Cooperatives will decide how to distribute profits. Distributions can be made when employee contributions have been paid back and there are no past due bank debts. There is a requirement that a portion of profits be dedicated to a reserve fund for contingencies. Cooperatives may hire temporary workers for terms of up to 90 days, and no more than 10 percent of work-days in any year may be performed by hired labor. After 90 days, a cooperative must offer membership to a temporary worker or end the arrangement. I think this is a major step, even though the full definition of the policy will only come with time as cooperatives are created and as the government moves beyond the experimental phase. Certainly from a capitalist perspective, all we see are the restrictions – first and foremost in the requirement that these businesses organize as cooperatives. But from the perspective of the Cuba of five years ago, this new law was unimaginable. It opens the door to a much larger private sector, one involved in more substantial activities than the small entrepreneurs. It is a second option for Cubans interested in private business activity, and a new option for friends and relatives abroad who would support them with capital. There is nothing stopping five software designers from applying to form a business under this law; we’ll see if there is anything stopping the government from approving it. If the sector prospers it can create efficiencies in agriculture, construction, transportation, and other sectors that will benefit Cuba’s economy and people. And the government needs the cooperatives to prosper. Without them, it cannot meet its own goals of cutting state payrolls and generating new private sector jobs. The pace will satisfy no one, the process will be influenced by officials with more orthodox views, and it will surely have positive and negative notes. But there’s no denying that this law breaks new ground, with potentially large consequences. I agree with your comments. The law is promising. It does not place limits on the type of economic activity that may be carried out by cooperatives and it offers a potential way out of the state sector for highly skilled personnel with university degrees that are not being used efficiently by the state sector. It is also a way to provide employment out of the state sector and to reduce bloated and inneficient payrolls in the public sector. But providing the same weight to each participant in the cooperatives instead of in accordance to the capital each provides puts a limit on the speed with which such coperatives would be financed. Also the government does not have to ennunciate any explicit restrictions since these could be applied on an ad hoc basis through centralized national government approval of each new cooperative. Furthermore, it is a pilot program which means that it is an experiment and that definitive regulations have not been formulated but will be the result of ongoing results, of trial and error decisions and of the relative weight of conservative and reform minded government burocracies supervising the results of the cooperatives that ahve been created. So there are indefinitions about the project that make an analysis of it premature. We should wait for it to function for some time before making a serious analysis. It is a step forward taken because the totalitarian government as a last effort to survive because the leaders of the totalitarian government feel they have their backs to the wall and they have no other alternatives. But I have my doubts whether such cooperatives would be allowed to succeed if they have positive results. I suspect that at the first signs of success there would be severe efforts from th ruling hierarchy to restrict the growth of cooperatives or the whole effort would be so severely restricted and regulated that they would either be strangled on the craddle or placed under serious handicapps to try to sabotage their development. Because we must not forget that in Cuba there is a circle of privileged bureaucrats living off the efforts of the rest of society whose parasitic existence depends on the continuation of centralized government controls. This ruling group is well aware of the fact that its hold on power depends on the continuation of these centralized controls no matter how inefficient these controls are in practice or how dire is the economic situation of the country. We must not forget that for these groups their own welfare trumps overcoming the country's crisis unless the political situation takes such a turn that it is evident to them that their own survival in power is at stake. But, although Cuba is approaching that point, it is still not evident that this group considers that the situation is that critical because widespread public protests are not yet occurring. So let's keep our fingers crossed and knock on wood hoping for some enlightened leadership and the continued success of the new experiment. Buit do not hold your breath in anticipation, it will take some time for the results to become apparent and the project, even if successful, could be sabotaged or slowed down by the country's leaders. It is the curse of totalitarian regimes for reforms to be held up or slowed down till the final crisis occurs and then to be attempted when it is too late for them to have any effect on the final result. The elite's policies being counterproductive usually finally result in its downfall. Let's see what happens in this case! Great analysis in this piece, as well as very astute observations by your first"commentor" above. As for me, I see interesting parallels with Russia in the late 19th century, when the Tzar supposedly ended serfdom, but created the concept of the "Mir." In essence, while serfs were no longer shackled by the landowner directly, they were now shackled to their particular village group. In the end, serfs were as "enserfed" as ever. In Cuba, there is a clear reluctance to make room for individual intiative because it represents a diminution of governmental monopoly on power. We shall see if these new rules, in fact, stimulate production, just how far they'll let this initiative get. as raul has commented many times, cuba must move into a more sustainable 21st century socialism. and they will do it without stopping, but without hurry. these new coops are vitally important to continue the plan the government has. the fact people will want them to go faster, the fact there will be problems to be solved and mistakes made, that's all part of the process. it's very exciting to see what is happening, and what will be the effects in the next few years. and now, lets hope the idiotic american siege against cuba can finally be exposed for what a waste it is, and to have it end. link with the USA's massive communication system. The changes that have been articulated would work and we'd probably see some scared older cronies on the run.